Amidst forests and fields of crops, one can find vast meadows, soon to be occupied by cows or sheep. 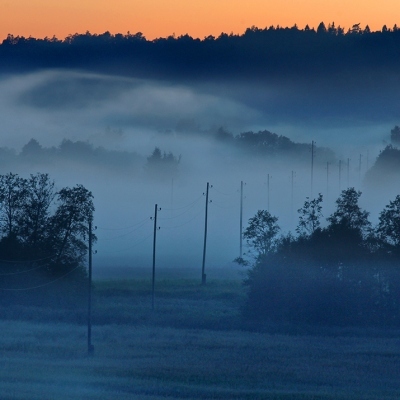 In summer and autumn, when the soil is warmer than air, entire locales are often shrouded in mist. 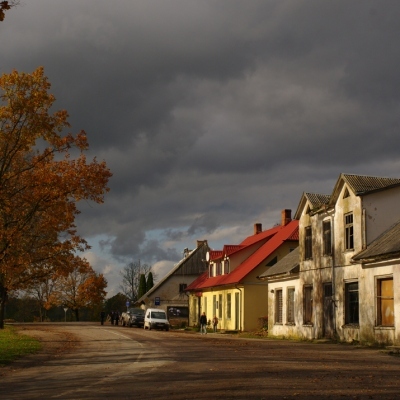 The central street of a rural village. 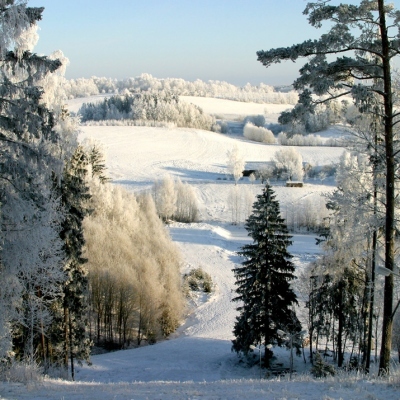 Latvia is located in a moderate climate zone, which is characterised by four distinct seasons. 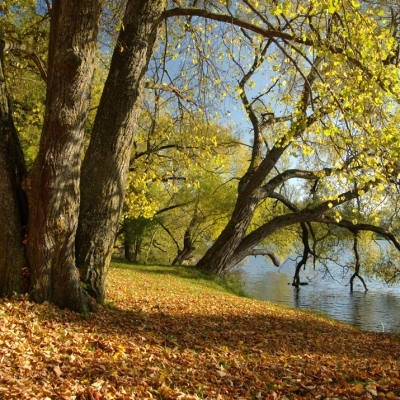 Latvia has several protected nature reserves, which also contain water bodies. Bird-watching tower at Pape. 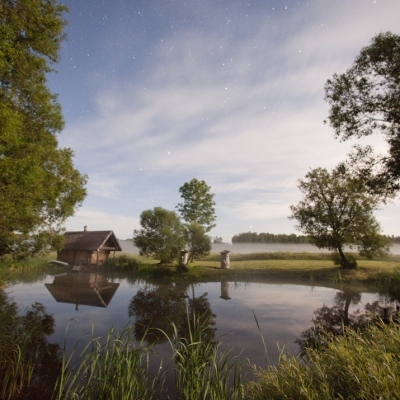 An integral element of any rural farm is a pond – if only so that you can take a swim after a hard day’s work in the fields or after an energising sauna. 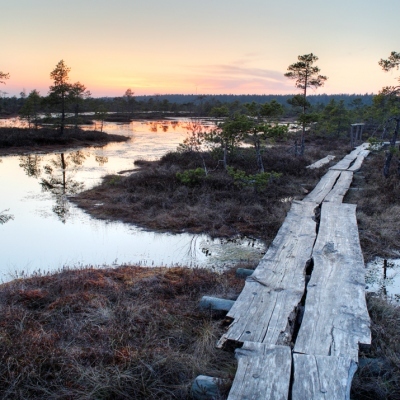 A footbridge trail has been specially installed in Ķemeri National Park for trekking across the huge marsh. Latvia, and its eastern region Latgale in particular, has a lot of lakes. 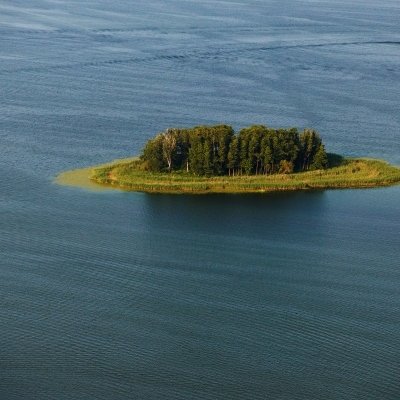 You can find islands, both large and small, within these lakes. 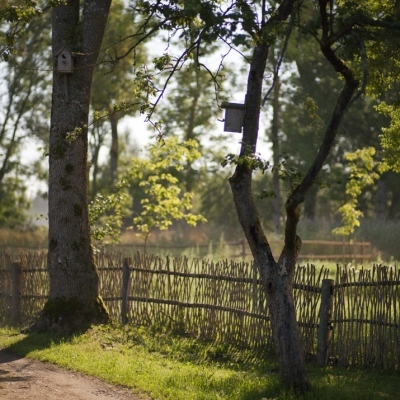 The rural idyll can often be found, perfectly intact, in Latvia’s small villages, with their narrow unpaved streets, fences made by hand using traditional methods and birdsong outside the window. 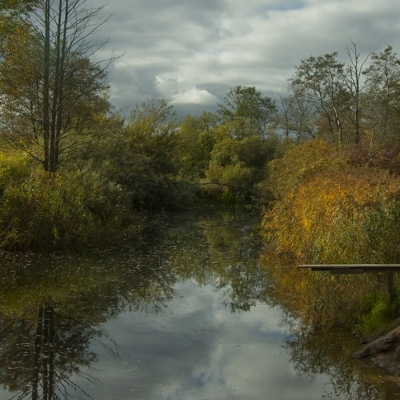 When visiting one of Latvia’s many countryside properties, even if there is no river, lake or other swimming spot nearby, you will often find a pond in which you can fish or take a swim. 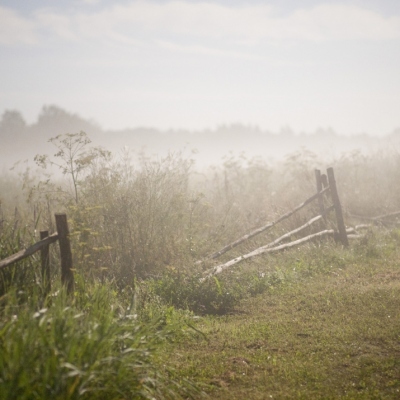 On summer mornings, Latvia’s meadows are often covered by mysterious and romantic mists. 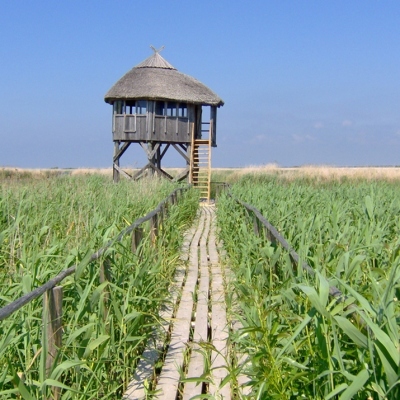 Latvia’s wetlands contain a lot of reeds - so much so that they were used to make roofs. 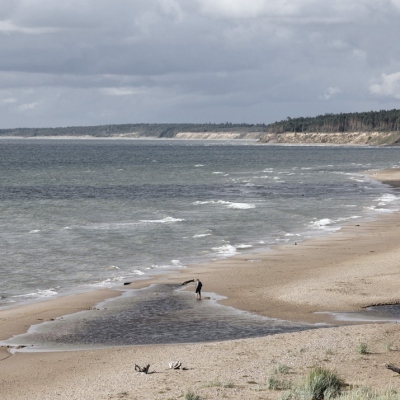 Kurzeme coastal bluffs. The seaside and bluff zone stretch for 498 km. 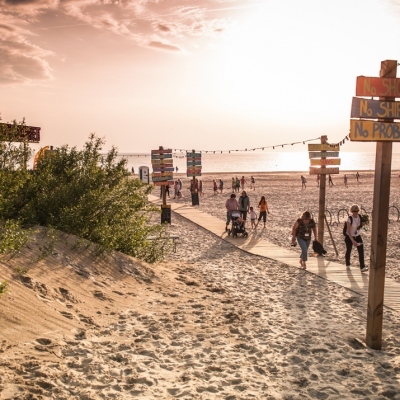 Liepaja is one of Latvia’s biggest cities and ports. It boasts a pristine white sand beach along the seashore. Latvia has a fully-developed road infrastructure. 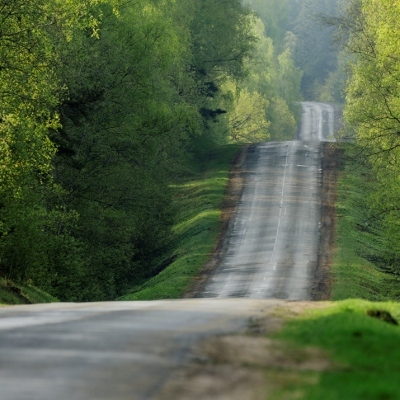 Rural asphalt roads are available with relatively little traffic, were traffic restrictions can be arranged. 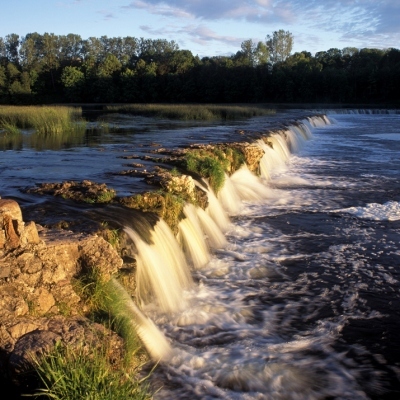 Latvia is home to the widest waterfall in Europe. Dependent on the volume of water, on average the rapid is 100–110 metres wide. 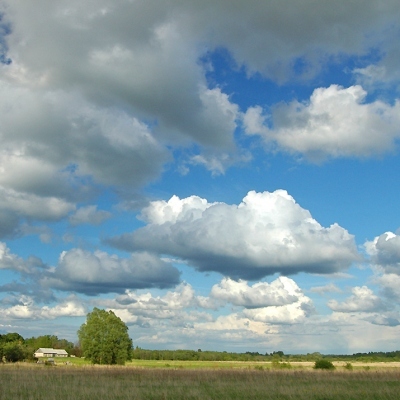 Latgale is one of Latvia’s districts characterised by a hilly landscape and numerous lakes. Back in the day, the Daugava served as the water artery “from the Varangians to the Greeks”, i.e. from Scandinavia to the Mediterranean basin. 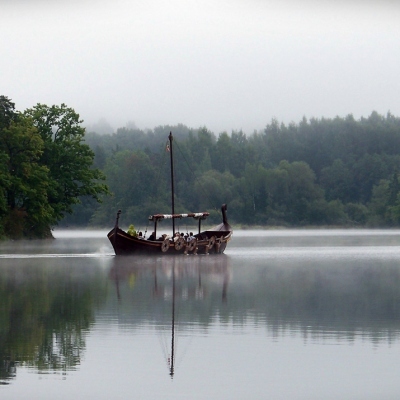 Enthusiasts of history are renovating the old Viking ships and once again embarking on long and difficult journeys. 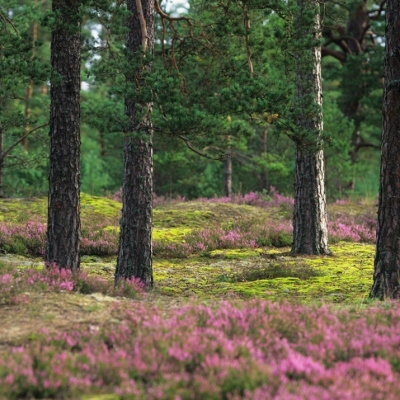 Latvia has many coniferous forests in which the pine is the most common tree. Here you can see a pine forest in summer.